Welcome from the Boston Hoop Troop! We are New England's premier hooping collective who teach classes, perform and host hoop jams in the Boston area. The Hoop Troop has brought the hoop scene to life in Boston since 2003. Do you want to get involved in hooping? Join us for a class or upcoming event. Are you looking to bring hooping to your next event? The Boston Hoop Troop has a roster of skilled performers who can meet your event's needs through their variety of talents. Friend the Boston Hoop Troop on Facebook! Follow us on Instagram - click here! 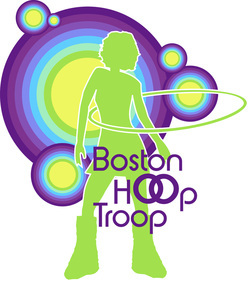 Boston Hoop Troop from Adrianne Mathiowetz on Vimeo.